Forget about big waves, today we are focussing on the details! Today we are focussing on tiny waves right near the shore inside the sheltered harbor. 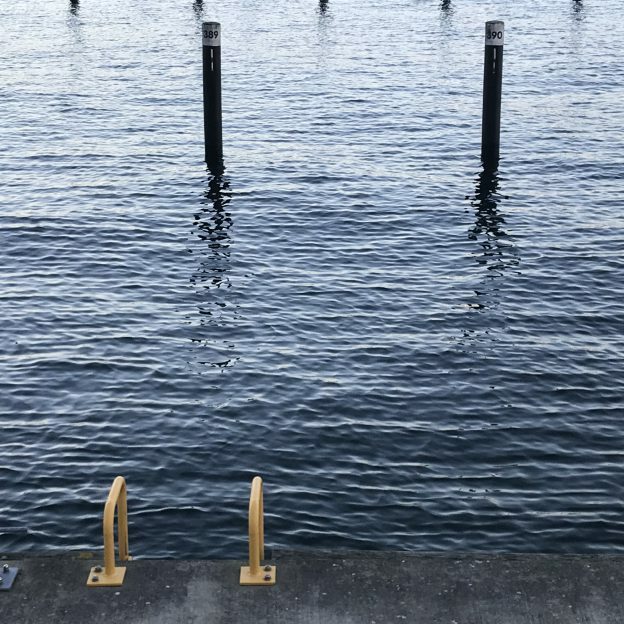 See how below there are two wave fields, one with longer waves with crests that are parallel to the water’s edge, and then shorter ones propagating at a right angle relative to the first field? 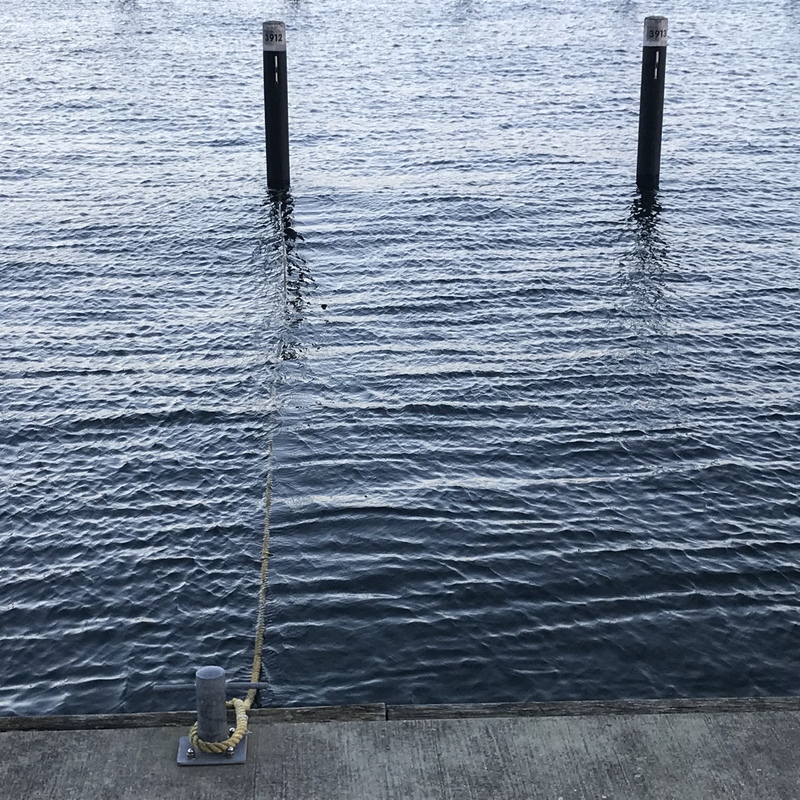 Where the rope swims on the water you see how the short wind waves are stopped and only start forming again at a distance downwind of the rope. 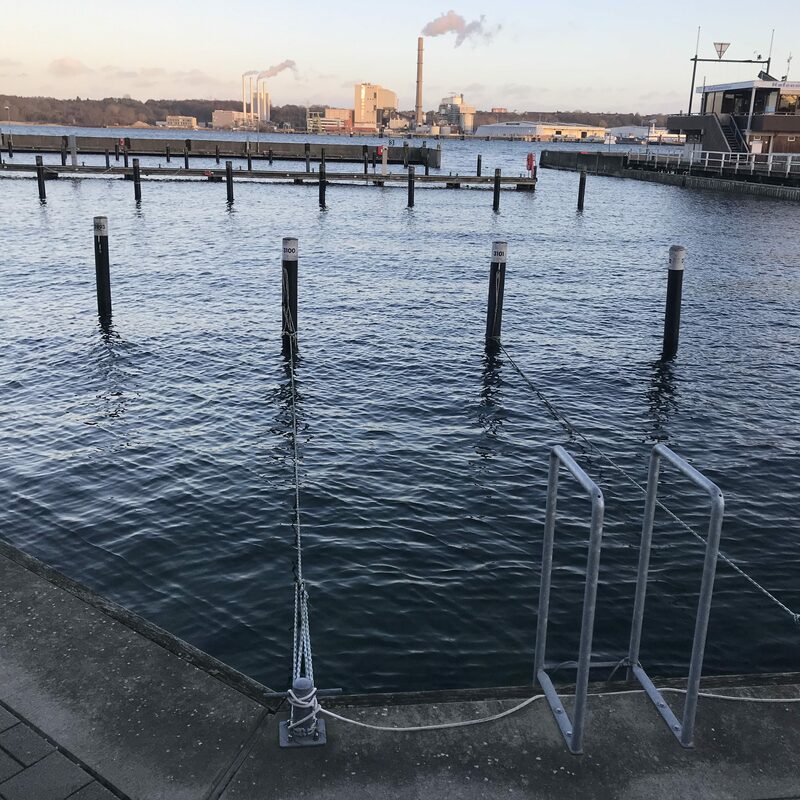 The same here: Where there are ropes floating on the water, the water’s surface looks a lot smoother because the wind waves that propagate perpendicularly to the ropes are erased. 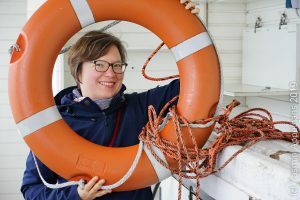 But there are some wave crests parallel to the rope, formed by the rope hitting the surface and being pulled out again! Below, the ropes don’t actually touch the water’s surface, but we have cool reflections of waves with crests parallel to the two walls that form the corner. The water level is right at the height where there is a little ledge on the wall that gets flooded with wave crests arriving and then falls dry during wave troughs. This causes this cool pattern of wave crests that seem to be interweaved right at the corner. Sometimes looking really closely at small scale pattern is even more fun than looking at the sea and all the big and flashy (or splashy?) stuff going on there! 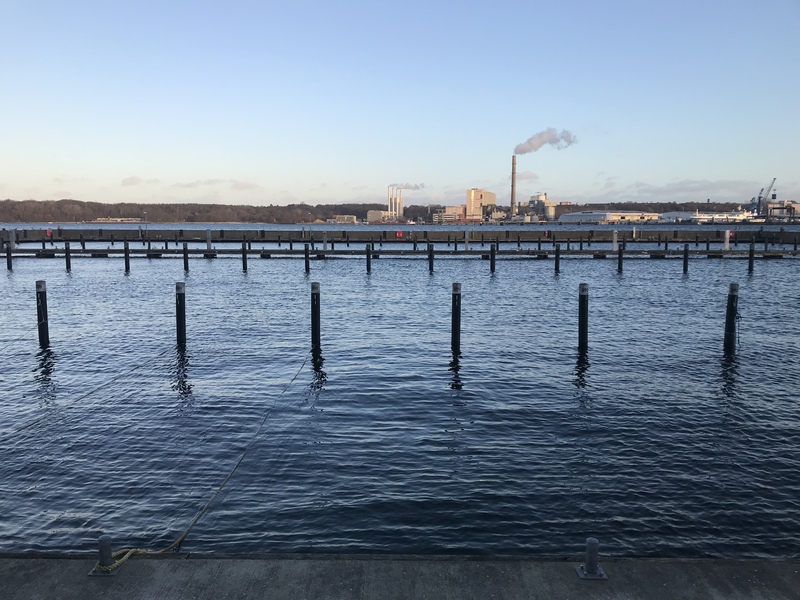 This entry was posted in observation, wave watching and tagged interference, reflection, reflections, wave watching on January 15, 2019 by mglessmer.